Register today for a free webinar that can help select an applicant tracking system (ATS) for managing your hiring process. But with hundreds of ATS packages out there to choose from, how do you know which one is right for your senior care organization? The webinar will help identify what an ATS should be able to do for your organization, and how a good system can help streamline the process to find the candidates you’ve been looking for all along. 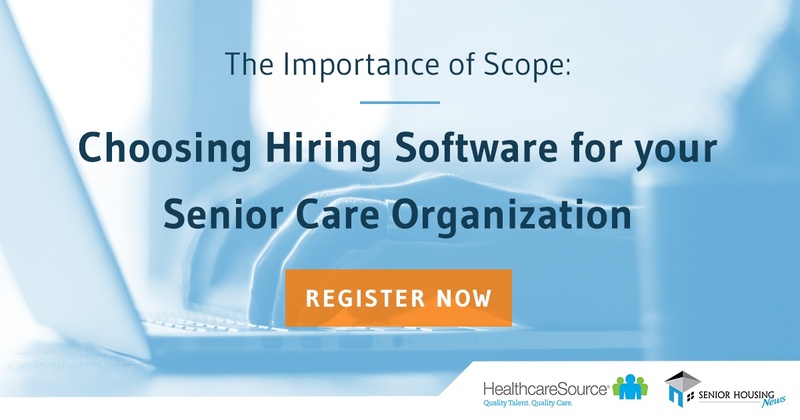 The free webinar, brought to you by HealthcareSource and moderated by Tim Regan of Senior Housing News, will feature Martha Abercrombie, Product Marketing Strategist from HealthcareSource; and Ryan Haddock, Marketing Manager from HealthcareSource. Click here to register.